It has been a glorious year here at BLUES JUNCTION due to the fact that it has been such a productive year for great blues recordings. 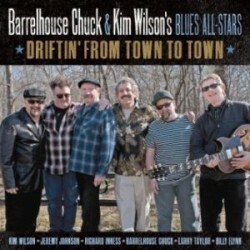 There has been simply one outstanding blues record after another released in 2013. I can’t think of a single calendar year in recent memory where so much great music was being produced by so many wonderfully talented people. 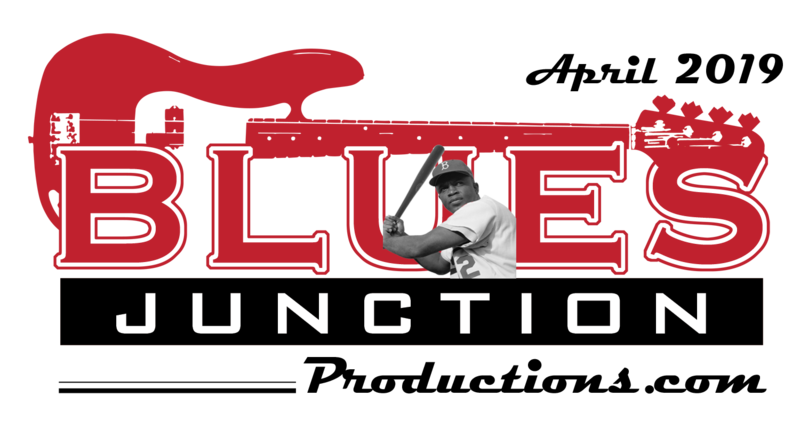 For those of you concerned with “Keepin’ the Blues Alive,” don’t you worry it is alive and well. You may even want to go out and purchase one of these CDs. 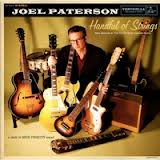 (Q) How does a CD get recognized in the BLUES JUNCTION Productions “Best of....” edition of our ezine? (A) First each artist has to mail me 114 copies of their CD by a certain date in the fall. Then mail enough money for postage so I can mail these CDs to secret nominators who work in various aspects of the industry but don’t have a conflict of interest (wink, wink, nudge, nudge). From there the finalists are chosen. Remember anybody can vote for their favorite artist regardless of whether or not they have heard the recording. Sorry, just kidding, bad joke, that would be insane and be detrimental to the blues business. Steve Freund made an album that honors the blues masters that he played with as a young man in Chicago. Those mentors include Big Walter Horton, Otis Rush, Hubert Sumlin and perhaps, most importantly Sunnyland Slim. He did this by playing traditional blues in that relaxed, soulful style that seems at times like an all but forgotten art form. This outing has the Bay Area based guitarist and vocalist doing a set of mostly covers from a variety of seemingly disparate sources. Freund takes tunes from Roosevelt Sykes, Freddy King, Eddie “Cleanhead” Vinson and even Janis Joplin, for instance, and finds some head room in which to explore new ideas. The conundrum for blues artists and fans alike is how do you stay true to decades old traditions and add something new and fresh to the language. 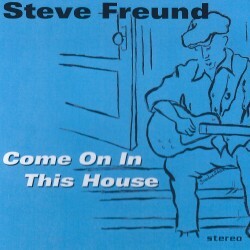 Listen to Steve Freund’s Come In This House. He has the answer. 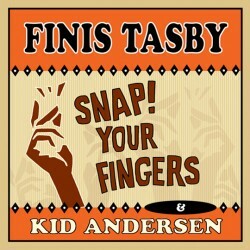 Honorable Mention: Finis Tasby/Kid Andersen - Snap Your Fingers (BlueBeat Music) One of the great voices of the blues made a career defining masterpiece which was released last spring. Guitarist and producer Kid Andersen found the right material and assembled a band of first call musicians from the rich treasure trove of talent that resides in the San Francisco Bay Area. When those two components are put together with the great Finis Tasby you have something truly special. Upon my first listen of Snap Your Fingers I knew that I would spend much of the rest of 2013 revisiting the original material from which many of these selections came. The record actually made me hear this music in a different way. I went back and listened to the great Lowell Fulson sides he cut out here in California for the Chess label. Blues music doesn’t get much better than that and yet this record stands shoulder to shoulder with the old masters. I certainly mean no disrespect to B.B. King, Bobby Bland, Brook Benton and, of course, Fulson, but when Finis Tasby gets done with these gems you just might forget that anyone has ever sung them before. It is also a pretty sure bet that they don’t need to be sung ever again by anyone other than the one and only Finis Tasby. 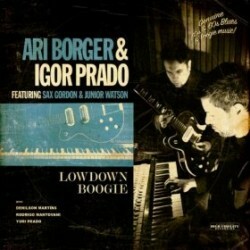 4) Ari Borger / Igor Prado - Low Down Boogie (Chico Blues) Post War R&B instrumentals with a swinging jazzy flavor. Special Guests Junior Watson and Sax Gordon augment this stellar band on a few tracks. This is an astonishing recording that just came out in December and is one of the reasons my “Best of...” lists come out in January. 5) The 4 Jacks - Deal With It (EllerSoul) Four great musicians deal with mostly original material. The singing drummer, Big Joe Maher, of the Dynaflos fame, teams up with former Black Top Records label mate Anson Funderbugh to make an album that has that great 90’s Black Top house sound. This is the best guitar playing Anson has laid down in the studio since those heady days playing with the great Sammy Meyers. 6) Trick Bag - Trickbag with Friends (Magic) Here’s the Trick. Have “friends” like Lynwood Slim, James Harman, Barrelhouse Chuck, West Weston, John Nemeth, Bob Corritore, Sven Zetterburg and R.J. Mischo. 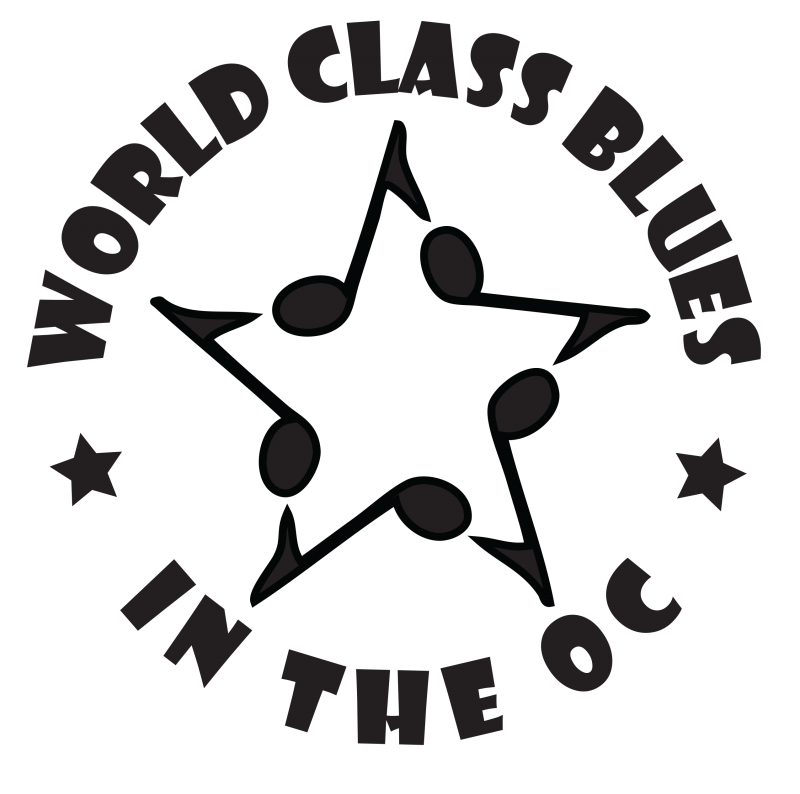 Vocalist Tommy Moberg, bassist Lars Nasman and their gang of fellow Swedes make like they are from the LBC and put out a great contemporary West Coast blues album. 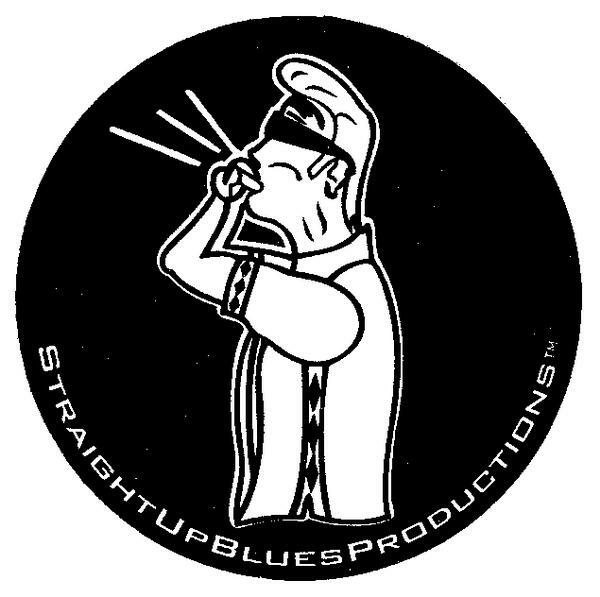 7) The Mighty Mojo Prophets - Flyin’ Home from Memphis (Delta Groove) This band is from the LBC (Long Beach, California) which has for decades been the unofficial home of the blues on the west coast. Ring leaders vocalist Tommy “Big Son” Ellif and guitarist Mitch “Da Switch” Dow front the band and take the listener through some swinging tunes that are imbued with some very dark lyrics. 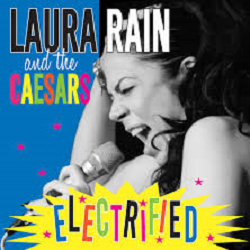 Original, fresh, fun and very hip stuff from this hard working band. 8) San Pedro Slim - One Room, Utilities Paid, No Pets (Barroom Blues Music) Vocalist, harp man, artist, raconteur and legend in his spare time, San Pedro Slim puts a CD out about every decade or so whether he needs to or not. This December release is his strongest effort to date. It is an album of straight up blues originals whose themes center around the adventures of the urban domicile that just happens to be located on the wrong side of the tracks. Slim is backed by guitarist Nathan James and his very talented band the Ryhthm Scratchers. Guitarist Rick Holmstrom, pianist Taryn Donath and horn man Johnny Viau also appear on this fine record. 9) Billy Watson - Nine Lives (Self Released) Like the San Pedro Slim album, Nine Lives was recorded appropriately enough at Nathan James Sacred Cat Studios. The similarities don’t end there. Drummer Marty Dodson also plays throughout both recordings. Pianist Taryn Donath also contributes on a couple of tracks here. James’ plays his custom homemade guitars on both recordings. Watson makes exploring the heights of creativity sound fun and effortless. It takes a great talent to pull this off and as the album titles implies, Watson has done this for the ninth time. 10)Egidio “Juke” Engala and the Jacknives - Tired of Begging (Vintage Roots)This Italian band has put together a wonderful mix of original material written primarily by Engala as well as single contributions by guitarist Marco Gisfredi and bassist Massimo Pitardi. The very swinging drummer Enrico Soverini rounds out this talented quartet. This near perfectly executed fourteen track album is a joy ride through some pretty hip territory. Magic Sam Live at the Avant Guard June 22, 1968 (Delmark)There has been some discussion by my fellow scribes as to whether or not this album deserves to be on any “best of...” lists. It certainly does belong, although I didn’t include it on mine simply to make room for more current recordings. Had I, this CD would be a very strong contender for album of the year. The material contained in this Delmark Records release has not been issued in any form by any label, so in that respect it is, in fact, a new CD and not a re-issue. 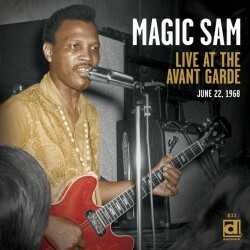 It is hands down the best live album in Magic Sam’s catalogue. In this live, stripped down, trio setting the brilliance of Magic Sam is in full effect. This album puts you right in the front row of this Milwaukee nightclub where Samuel Maghett lived up to his moniker that night, Magic indeed. Big Jon Atkinson is a 24 year old, multi-instrumentalist who has an astonishing natural feel for the blues. His instincts seem to be almost flawless. He is also an amazing unaffected blues singer which is a very rare commodity these days. He has appeared on two albums this year, The Silver Kings’ Tough Times and The Elgins’ 24 track time machine, simply entitled Volume 3. Runner Up: Nikki Hill, like Big Jon also had two releases this year. Her debut album entitled Here’s Nikki Hill and a four song EP entitled Soul Meets Country where she is paired with Deke Dickerson. The duo is backed by the Bo-Keys. Hill seems perfectly at home in both these distinctively different musical environments. I can’t wait to hear which muse taps Nikki Hill on the shoulder next. Wherever she goes I am following. Kid Andersen The Northern Californian Norwegian is the self described “Main Dude at Greaseland Studios.” That’s about as good a description as any as this main dude’s studio in San Jose, California, seems to be at the epicenter of the thriving San Francisco Bay area’s blues scene. Not only did Andersen make possible the great Finis Tasby project Snap Your Fingers, but albums by Frank Bey & The Anthony Paule Band, Little Jonny and the Giants, Eddie B’s Blues Bash and others were recorded at Greaseland as well and were released this past year. These selections are simply the best of 2013. It is what some might refer to ‘just one guy’s opinion’. OK, fair enough. I would love to hear from our rather astute readers on this topic. What are your favorite CDs of 2013? I will be happy to “publish” your thoughts on this in the popular February Letters to the Editor section of the website. It is the section that I call, “Dave, I Can’t Believe You Left Off _______ From Your List” section of the website. I look forward to hearing from you.